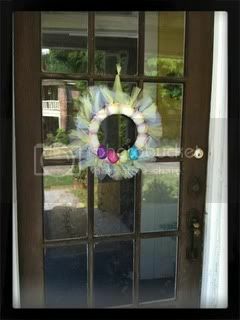 Check out my new Easter Wreath! shhh ignore the spoilers in the picture! A huge thanks to my new bloggy friend Lynne over at Scrappity Ann. 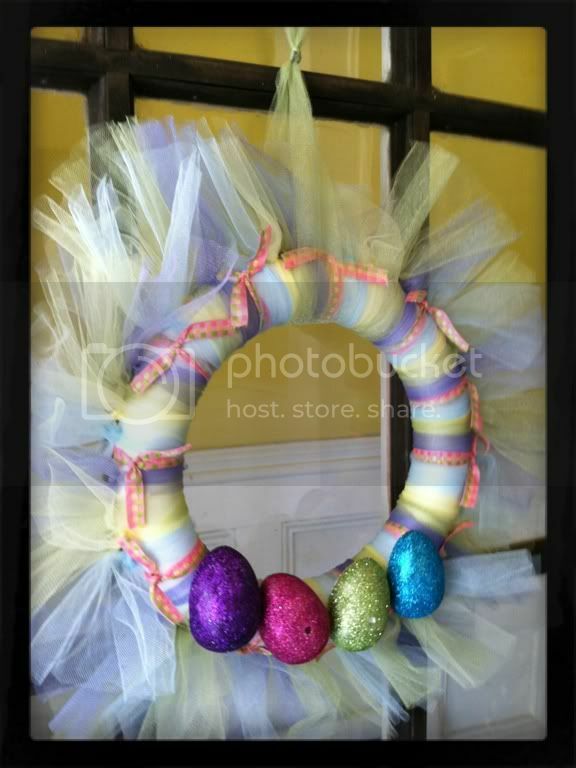 I was the big winner of this great Easter Wreath! I don't want anyone to think I actually made this. 'Cause that's sooo not happening. That's why I have to enter drawings for things like this. I am just not crafty like this. It goes along with my inability to garden. Ohhh look, you can see the house across the street! I'm so happy to have this little piece of spring on my door. And please, go check out her blog. She has some great stuff: projects, DIY cleaners...and assorted other projects I've pinned and plan to get around to...eventually.